The extremely rich history of India is an exceptional mix of culture, castle, color, creed and geography. Traveling in a country with as diverse culture as India is really a confusing job to do. From the sky touching Himalayas to sun kissing beaches in the south and from deserts and dunes in the west to the rainy place of Cherrapunji, all the destinations gives one life time experience. Here we are with a bucket full of breathtaking beautiful places that must be visited once in a life time that will provide crazy experiences in the books of the memory lane. Leh is the largest town in the Ladakh region in Jammu and Kashmir State in India. Leh is at a distance of 434 kilometers from the state capital Srinagar and at a distance of 474 kilometers from Manali in Himachal Pradesh. As the best experience of Leh could be through road trips. Leh could be visited via Srinagar-Leh highway or through Manali-Leh highway. Leh is mountainous region having three parallel ranges of the Himalayas named as the Zanskar, the Ladakh and the Karakoram between which three rivers as the Shayok, the Indus and the Zanskar river flows. Most of the population lives in the valleys of these three rivers. 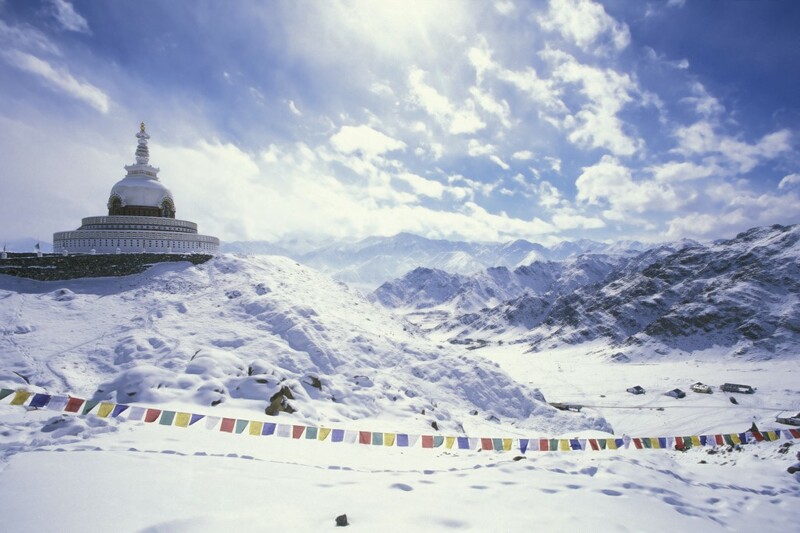 Leh is most popularly known as “The Land of Monks and Monasteries”. 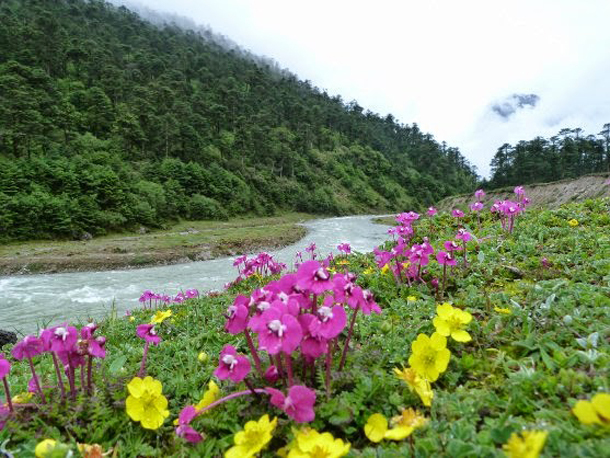 Popularly known as the “Valley of Flowers”, Yumthang Valley is situated at a height of 11,800 feet surrounded by the Himalayan range in the Sikkim state of India. 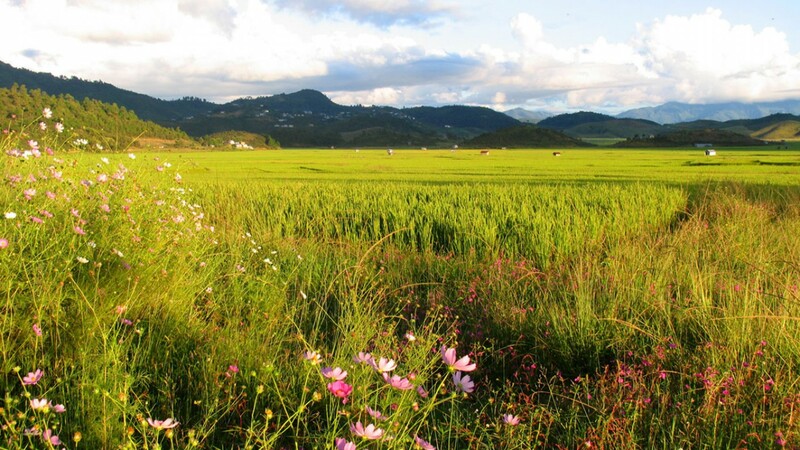 The valley is a paradise for the Flora and Fauna lovers with the breathtaking scenic beauty. The area blooms with wild flowers such as Primulas and variety of Rhododendrons in the spring season. The valley could be visited by road from Gangtok to Lachung which is the nearest village to Yamthang. Due to heavy snowfall, the valley is closed from December to March. Hot spring at the right side of Yumthang River is the famous tourist attraction. Lonar Crater Lake was first discovered in the year 1823 in the outskirts of the Lonar town in Buldhana district in Maharashtra, India. It is a saline soda lake that was created by the impact of a meteor. The lake has its genesis dating back to 50,000 years and is the third largest crater in the world. The lake has a depression of the 1.83 kilometer in diameter and is 150 meters deep. The lake is the paradise for a large number of flora and fauna. Various resident and migratory birds are found all around the lake along with the thousands of peafowls, chinkara and gazelles. The lake impresses one by its spellbinding beauty and its rich natural heritage. Situated at the northeast of India, Mizoram is the “Land of Blue Mountains”. With plains scattered here and there, Mizoram is a land of valleys, rolling hills, rivers and lakes. The state has as many as 21 peaks of various heights that run all through the state. The state has unending bamboo forest and a pleasant climate. Mizoram is a picture perfect place for those who love scenic beauty and have connections with nature around. Nanda Devi is situated in the Uttarakhand state in India and is the second highest mountain in the India. In the vicinity of the mountain is the Nanda Devi National Park, which has the most unique Flora and Fauna in the world and is regarded as must visit place. The name Nanda is one of the nicknames of the wife of Lord Shiva and Devi mean “Goddess”. The region is known mostly for its dense forest and mountain ranges that provides ample opportunities for adventure as unlimited trekking options. At the height of 340 meters, Nohkalikai is the tallest waterfall in India. Located near the wettest place on the Earth, Cherrapunji, it is fed by the rainwater. Nohkalikai literally means “Jump of Ka Likai” in Khasi language. According to the legends, a local woman named Likai jumped from the cliff next to the fall, after a family tragedy which left her insane. The fall is at a distance of 5 kilometers from Cherrapunji and is the great attraction of Cherrapunji. The falls are most spectacular during the monsoon which makes the monsoon ideal season to visit. Nubra Valley situated in the north of Leh, was once used as a trade route connecting Eastern Tibet and Turkistan. The name literally means “The Valley of Flowers” and the valley is a high altitude cold desert. The average height of the valley is 10,000 feet from the sea level and can be accessed through Khardung La Pass from Leh town. One of the tributary of Indus River known as the Shyok River meets the Siachen River to form a large valley that eventually separates Ladakh and Karakoram Ranges. Stok range is a mountain range of Himalayas situated in the Ladakh region in northwestern India. The highest peak of the range is Stok Kangri with an elevation of 6,153 meters above sea level and is massive mountain covered with snow. The range is a centre of attraction for trekking and for climbers and mountaineers. The range is filled with scenic beauty and spellbinding valley all around. Situated in the south western state of Kerala in India, Munnar is a hill station at a height of almost 1600 meter above sea level. The town is situated at the junction of three mountain streams viz. Mudrapuzha, Nallathanni and Kundala. The hill station is virtually completely covered with tea plantation. Munnar is the ideal place for all those who want to spend some genuine peaceful moments with the Nature. 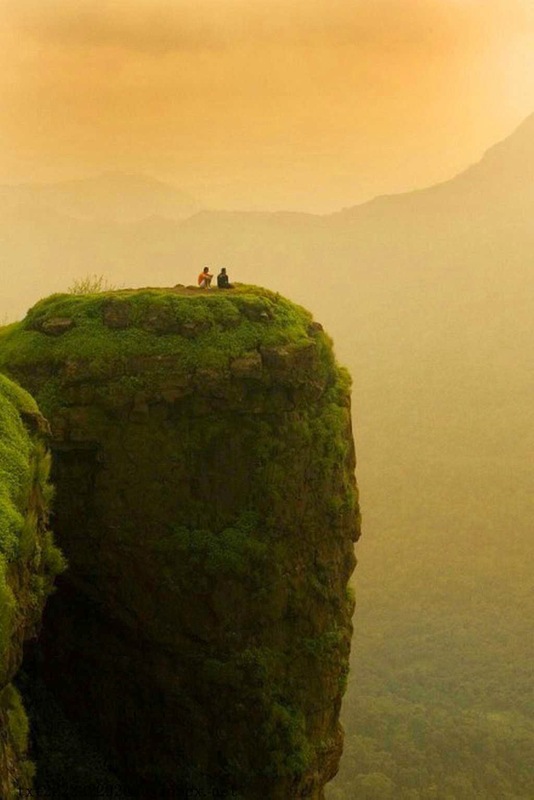 Matheran is one of the most famous and coldest as well as the smallest hill station in the India situated at the Raigad district in Maharashtra. The hill station is situated at the Western Ghats at almost 800 meter above sea level. Matheran is 90 kilometers form Mumbai and is considered as an eco-sensitive region by the Ministry of Environment and Forestry, India. The fact that distinguishes Matheran from all other Hill stations is that vehicles are banned in the area and that leaves the place peaceful. Along with other places of interest, the Sunset and Sunrise here are breathtaking. Nanda Devi looks majestic. This indeed are must see places in India. Amazingly beautiful, hopefully can see it with my own eyes for real..
India still mesmerized me. The country has lots to offer to travelers. I am particularly enamored by the Lonar Crater Lake. The view is simply breathtaking. Though I also love the other sites but I just can see myself dipping in the cool lake if it’s even possible. Oh wow! I didn’t know India has these hidden treasures. Definitely must see places. What a lovely places to visit in India! The valley of flowers looks like resting place with heaven. Indeed those placed are very pretty but how come kerala didn’t make it to the list? I think is incredibly beautiful too. What a beautiful country! I had no idea that India was hiding such treasures.. These are truly India’s treasures. They are majestic, awesome and worth-exploring. Hi, I am Vanessa Ally. It would be great if there was a tourist gig including all of these amazing places. These pics once again prove that India is a magical and holy place. I would love to visit the Tea Garden and Valley at Munnar. It looks like a very beautiful place. Also, the river at Nubra Valley looks so clear – like a mirror! Thanks to showing as most beautiful places in India. There is no doubt; I agree with your post. I love India.